Interstate 35E lanes have been reopened following a six-vehicle crash in the southbound lanes, police say. A police vehicle was involved in the crash, but there were no injuries. The crash happened early Wednesday morning just south of Garden Ridge Boulevard. 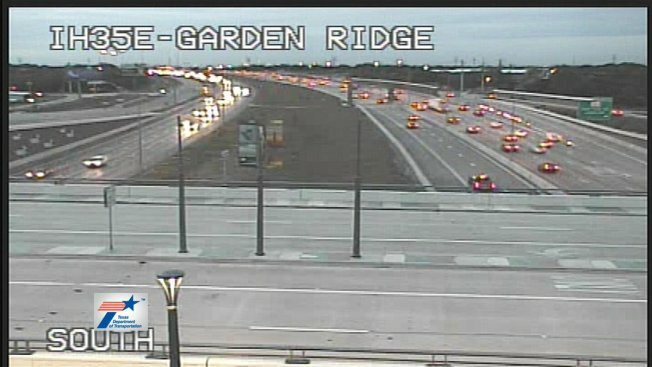 All lanes were blocked and drivers were forced to exit at Garden Ridge Boulevard.